“Georgie McCool knows her marriage is in trouble. That it’s been in trouble for a long time. She still loves her husband, Neal, and Neal still loves her, deeply — but that almost seems besides the point now. 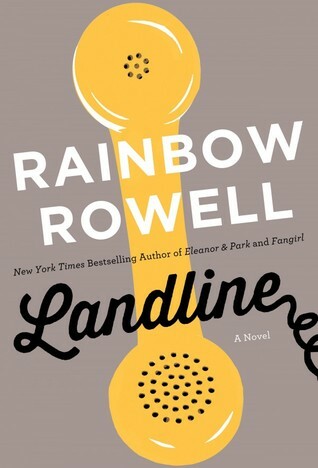 Landline (July 8, 2014) is Rainbow Rowell’s fourth novel but second attempt at Contemporary Adult Fiction, the first being Attachments, which I thoroughly enjoyed. Heck, I’ve enjoyed her other two as well, written for young adults. Rowell knows her audience well but her style, language and character development never waivers regardless of the genre. What I liked most about this book (and all of her books) is that she writes about real, flawed, awkward, nerdy people. People who carry on actual conversations. People who love each other for their strangeness. No insta-love, but genuine relationships that will stand the test of time because they are built on something more than looks and status. Regarding the dialogue between characters, there is nothing profound said and the use of language is not ground breaking. Rowell just has a way of capturing moments between people that are as endearing as they are humorous. It’s what I am most excited for when opening one of her books. I might not always like the characters but I LOVE the way in which they communicate with one another. I truly enjoy listening in on their fictitious banter. So, Georgie and Neal end up together, get married and have a family. But Georgie’s career is successful. In fact she could never imagine not working or not following her dream of being a writer with best friend Seth. They’ve been best friends for years, long before Neal was in the picture. She worked so hard to follow her dream and make it happen that when her and Neal decide to have kids, it’s Neal who ends up staying home to raise the girls while Georgie works. I haven’t read that story line before and it was refreshing and empowering for young women as well as for stay-at-home dads who know the stigma of being the sole caretaker as opposed to breadwinner. Very well played out! The last part of this unique story that I really enjoyed was the conversations between Georgie and Neal that took place on a telephone. Real talking. No texting. On a landline with the long tangled up cord and rotary dial. It also brought me back in time (as it was for them) to when I first met my husband and we would spend that dating period getting to know each other more on the phone. Late night conversations. Whispering so you wouldn’t wake your family. Having to scream to your mom that you had the phone when you got a call so she would hang up the extension. Listening for that click of the receiver knowing she wasn’t listening in. Snuggling under blankets and laughing about something silly or deep in a convo about life, hopes and dreams. Calling over and over, desperate to get through when you got a busy signal. Actually planning out a time to sit down and talk because you only had one line and if you missed the call that was it. It was nostalgic and utterly perfect in the way she wrote it. I feel terrible for all the younger generations who never had that experience and never will. 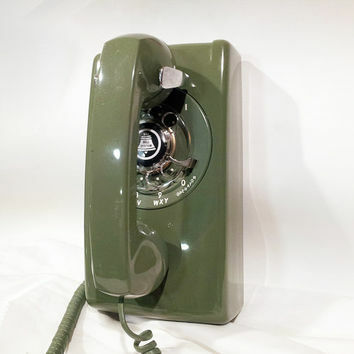 I’m honestly going to look for a vintage rotary phone with the long tangled cord and put it in my kitchen. My kids will think I’m nuts, but I want one now. Oh, and call your friends, boyfriend/girlfriend, children, parents, etc. Skip the text and actually call them. I received this galley at BEA this year and was not compensated nor required to review the novel. Quotes might be changed in the final copy. Tags: Contemporary Fiction, Landline, marriage, Rainbow Rowell, realistic fiction, relationships, Stay-at-home-dads, time travel, Women's Fiction. Bookmark the permalink. I love the fact that her characters always love each other for their strangeness! I really enjoyed the fact that the Seth thing never crossed into love triangle territory at all really, aside from mentioning she had a crush on him once…it would’ve been too easy. Great review ! Me too! It’s one of my favorite aspects of her books. Great point about Seth! It would have been too easy to “go there” and again reiterates that even though Seth had the complete package of looks, success, charm, it wasn’t enough. That was the exact phone in our mostly blue kitchen. Never looked good, but my parents wouldn’t get rid of it for years.